Many people purchase meats, vegetables and other food items on sale and in bulk to save money on their food budget. Often they buy a freezer and store it in the garage because there is not room in their home, which is an acceptable practice in many locations but not in others, depending upon the brand of freezer you purchase and the weather in your locale. Garage areas are often the only space available to add a freezer. Whether or not you increase your utility bill by placing a freezer in your garage depends on where you live. Areas that experience extreme highs and lows in temperature can reduce the longevity of your freezer. Keeping the freezer at the proper temperature in extreme hot weather conditions causes the compressor to work harder. If the compressor cycles on and off more than usual, the energy use increases, thus raising the utility costs. Read the owner's manual on your particular freezer. It tells you what temperature range is acceptable for the operation of your model. Conditions where the compressor has to work harder frequently makes the freezer more susceptible to repairs. According to the December 2010 article "Freezers: What to Look For," on the Consumer Search website, Whirlpool is making garage-friendly appliances, such as freezers, that can withstand extreme temperatures. Need of this type of appliance may encourage other manufacturers to produce similar products. Ask the salesman to direct you to the Energy Star qualified freezer models. Look at the yellow EnergyGuide label to compare the freezer to other models. It will show you the approximate energy costs for each appliance per year. 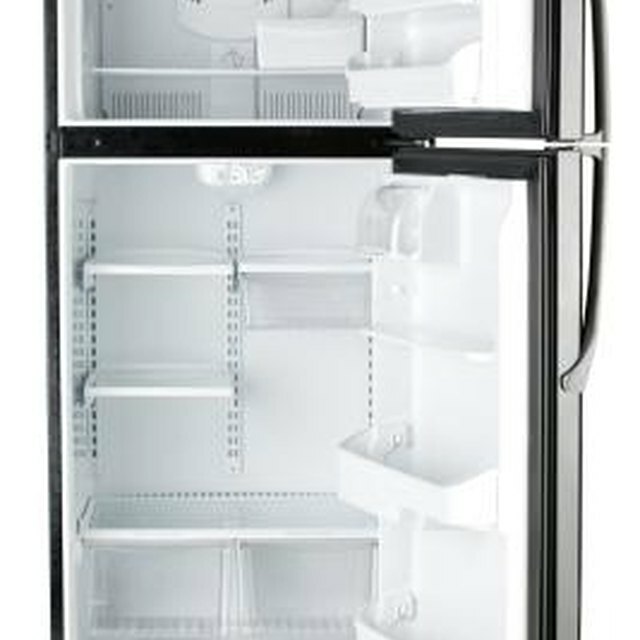 Larger freezers use more electricity; select the size that suits the needs of your family. Automatic defrost features use twice as much energy as manual defrost models, according to the Energy Star website. Chest freezers require more floor space than upright models, but use less energy because the door opens from the top, thus allowing less cold air to escape. Many people buy a larger freezer than is necessary, which results in empty space that the compressor must still work to cool. For optimum energy-efficiency, keep your freezer at least two thirds full, according to the Desmesne website. If it is not as full as it should be, fill gallon containers -- such as empty milk jugs -- with water, and put them inside your freezer to take up space.